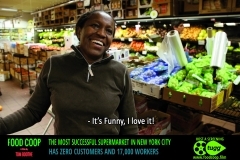 The Most Successful Supermarket in New York City Has Zero Customers and 17,000 Workers. 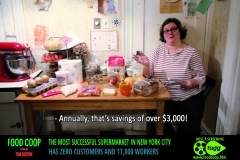 Every day in Brooklyn, hundreds of busy New Yorkers walk past Whole Foods or dozens of other grocery stores promoting natural and organic foods to work at a small supermarket that does no marketing and never holds sales—and yet makes more money per square foot than any other grocery store in New York City . 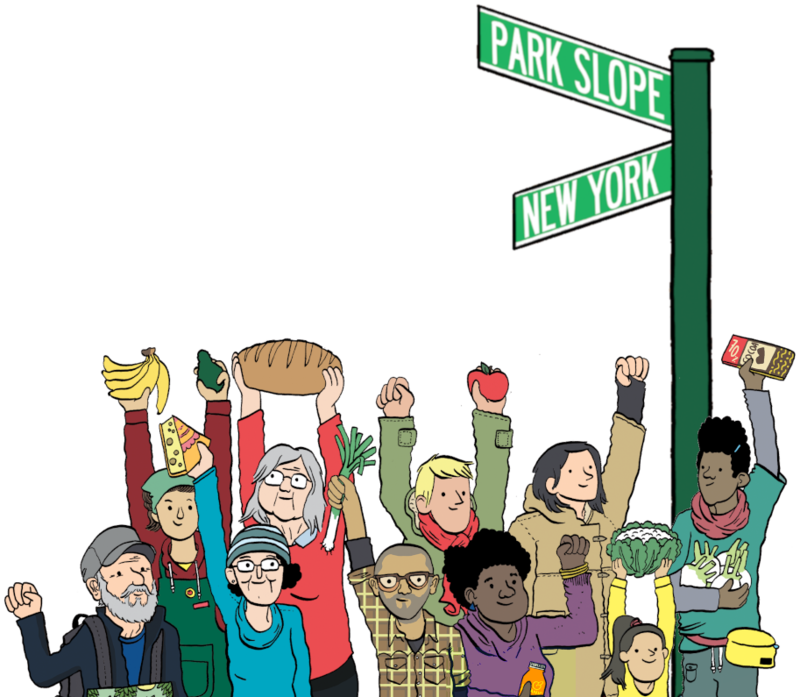 The secret of the Park Slope Food Coop’s more than 40 years of success is simple: to shop there, all 17,000 members—rich and poor, old and young, from every culture and race in the city—have to put in three hours a month of work. The result is a virtuous cycle. Lower labor costs let the coop charge lower prices. Lower prices attract more people. 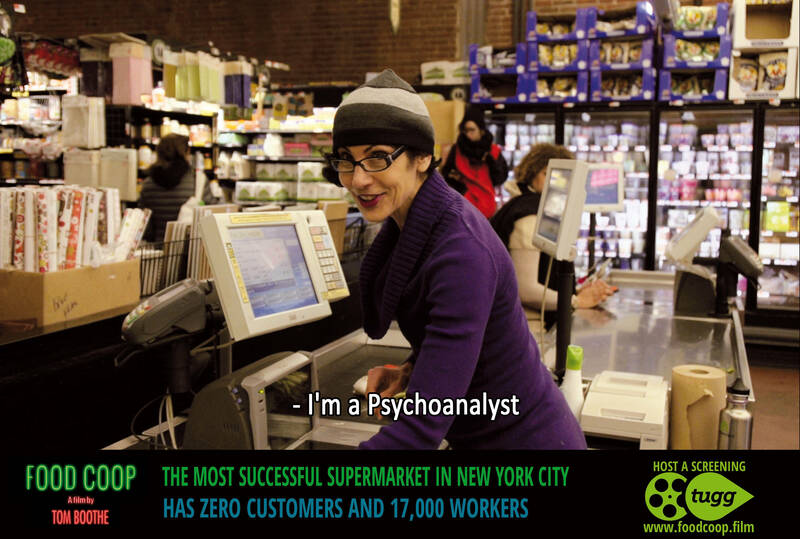 More people lead to greater buying power. Greater buying power brings even lower prices, more members, makes happier members—and the cycle continues. 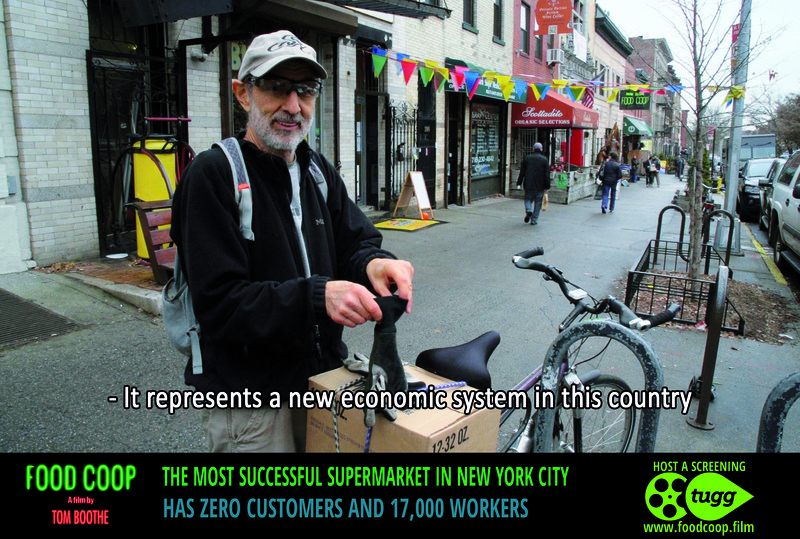 Little wonder that Europeans have started to look to the Park Slope Food Coop as a model for a positive, sustainable way to undermine corporate monopolies, unite communities, and increase access to high-quality food while also promoting good food and environmentally responsible consumption. 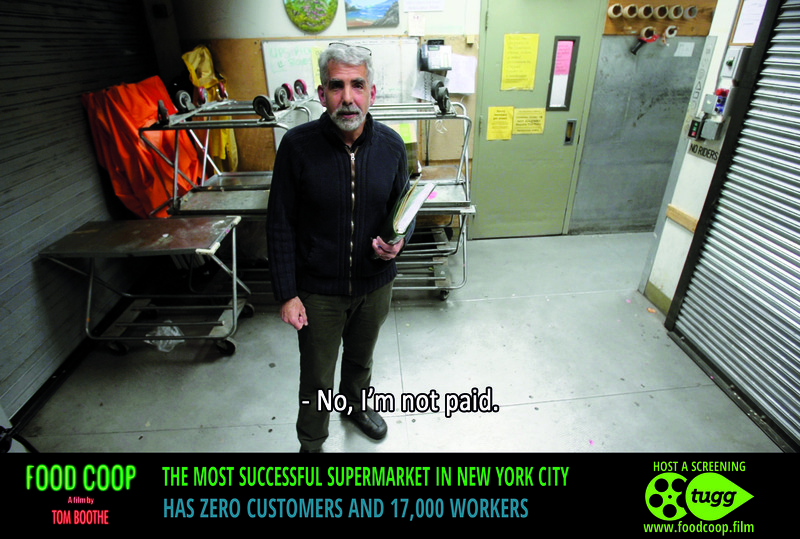 In his first feature-length documentary, FOOD COOP, American-born, Paris-based director Tom Boothe brings wit, insight, and a critical but passionate eye to the story of an American institution, built on pragmatic idealism, that has become a beacon for Europe. Well reviewed and widely seen in theaters in Europe, FOOD COOP has started a wave of cooperative food distribution initiatives, with groups in more than 50 cities, including Brussels, Paris, Madrid, Stockholm, and Parma, now working on recreating what they’ve seen in the film.